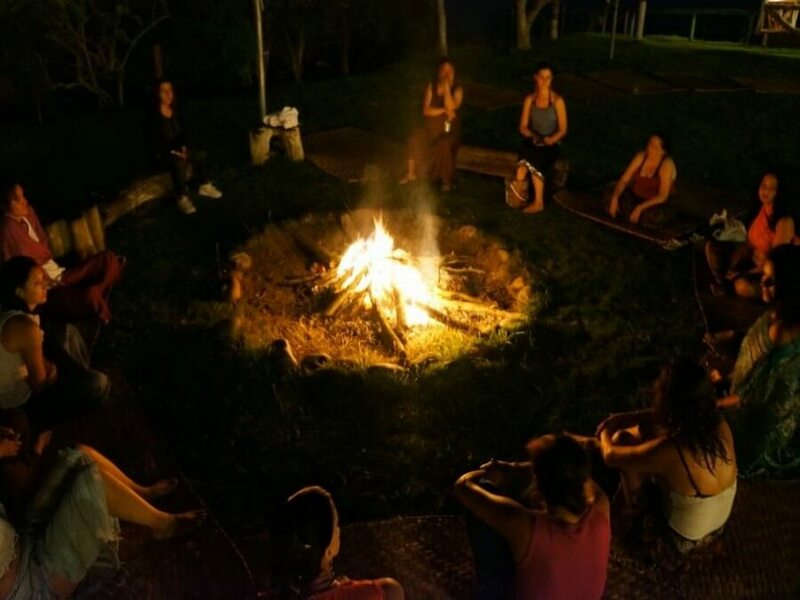 Join this special Yoga tour in Ecuador and you will be able to practice Yoga on high altitude and right in the middle between the northern and southern hemisphere. 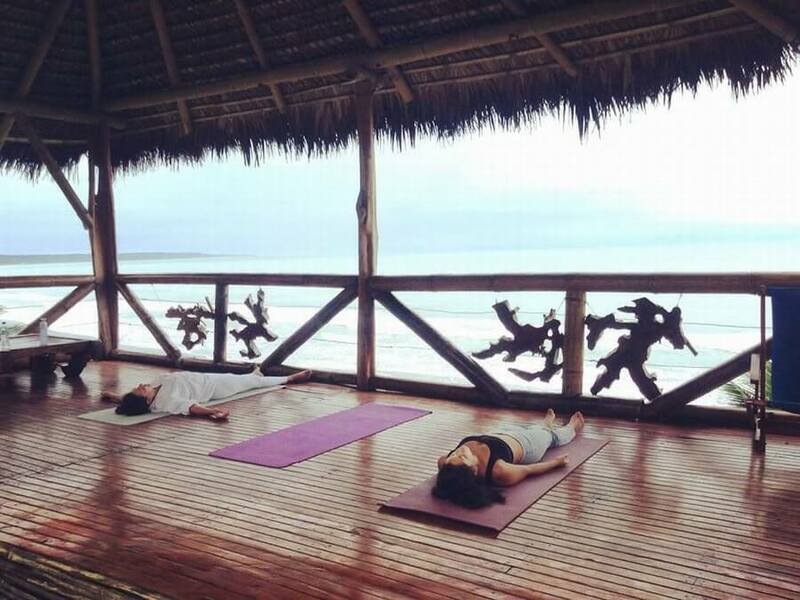 Or what do you think about practicing Yoga with the sound of breaking waves arriving from the endless Pacific Ocean onto the Ecuadorian beach. 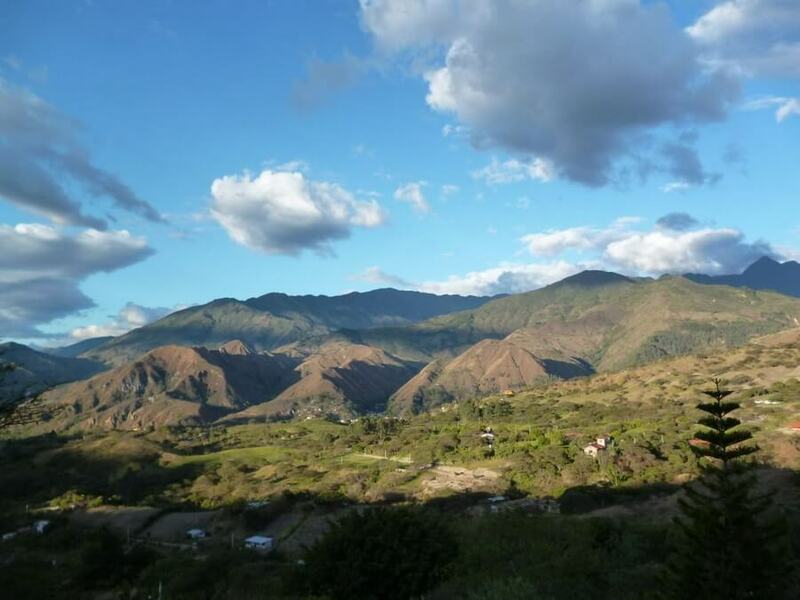 Last but not least you will visit the sacred valley of Vilcabamba, a green and fertile valley, surrounded by jagged hills. This healthy valley is also known as the only place in the world where you can not only add more years to your life, but also more joy to your existence. 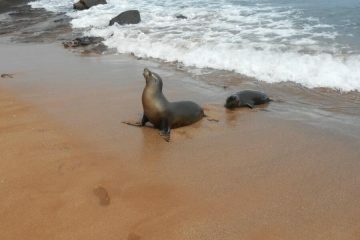 Optional: a tour to the Galapagos Islands. 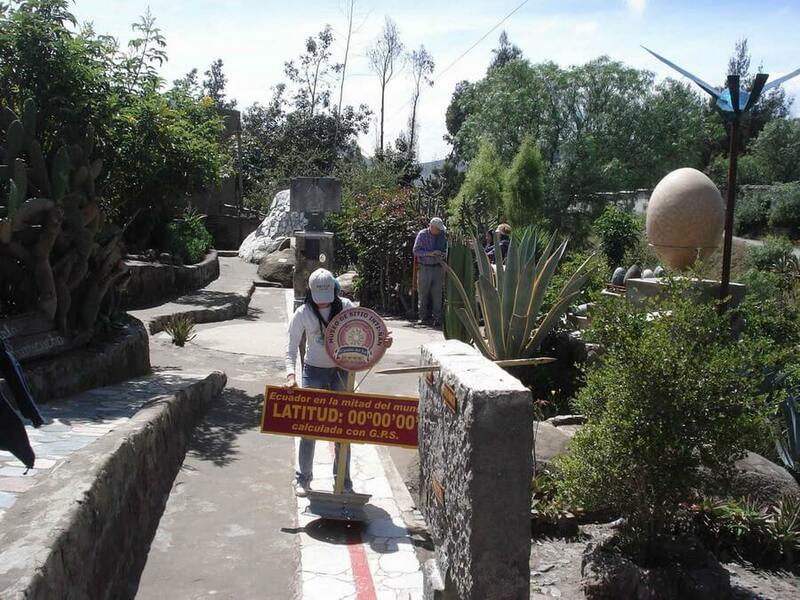 After arriving in Quito we will pick you up from the airport and travel to our hotel in Otavalo. You will stay at the comfortable wellness hotel Sacha Ji, which means “Beloved Mountain”. 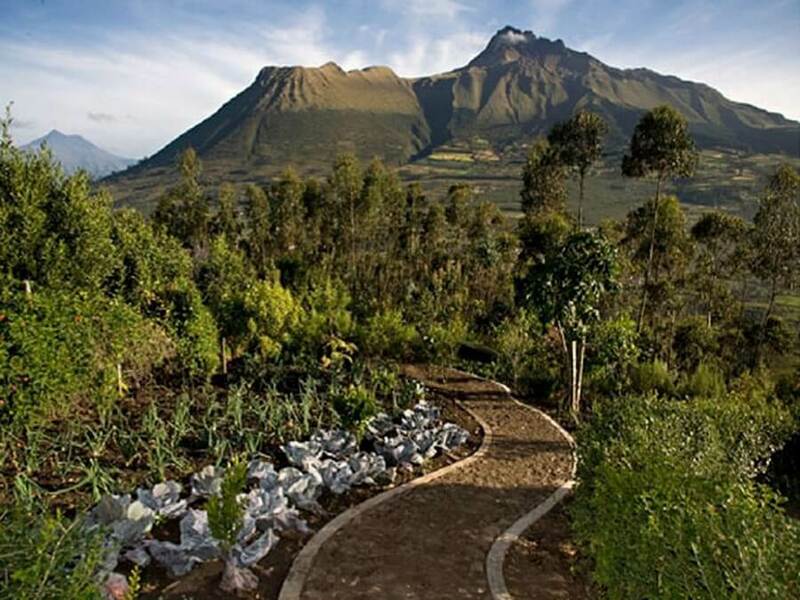 The hotel is located on a sacred location and from the hotel you have a great view over the Imbabura Volcano and the San Pablo Lake, the biggest fresh water lake of Ecuador. 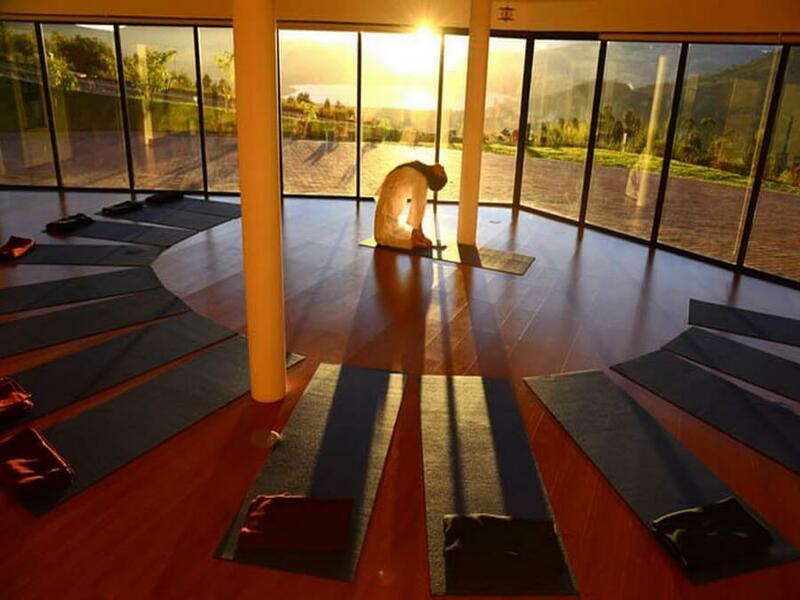 You start our first Yoga class before sunrise and during this class you can experience how nature in the Andes awakens and the first sun rays pass over the mountains. 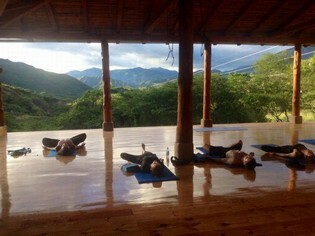 During this easy class you will also experience the effects of being at a higher altitude (around 3000 m), an interesting feeling that makes the body feel heavier and the mind lighter. 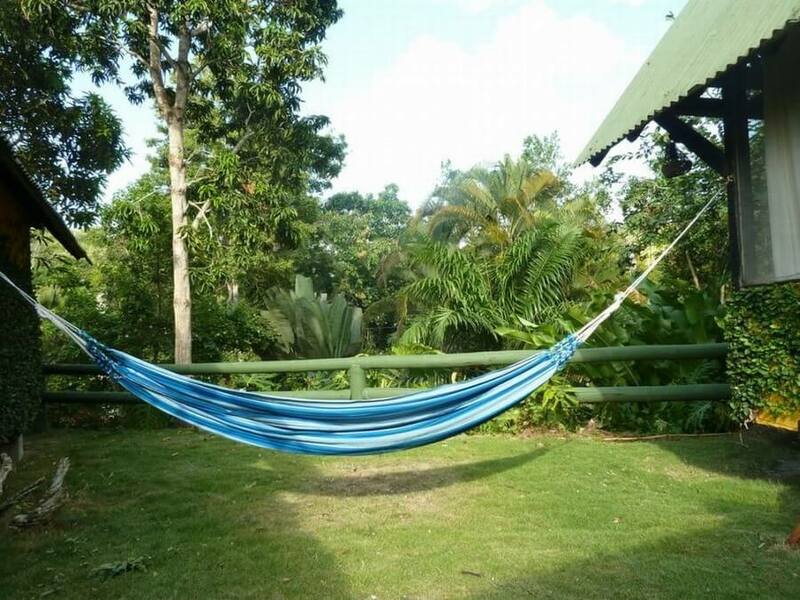 After a healthy breakfast you can decide to stay at the lodge, relax in a hammock and enjoy the great views over the surrounding. 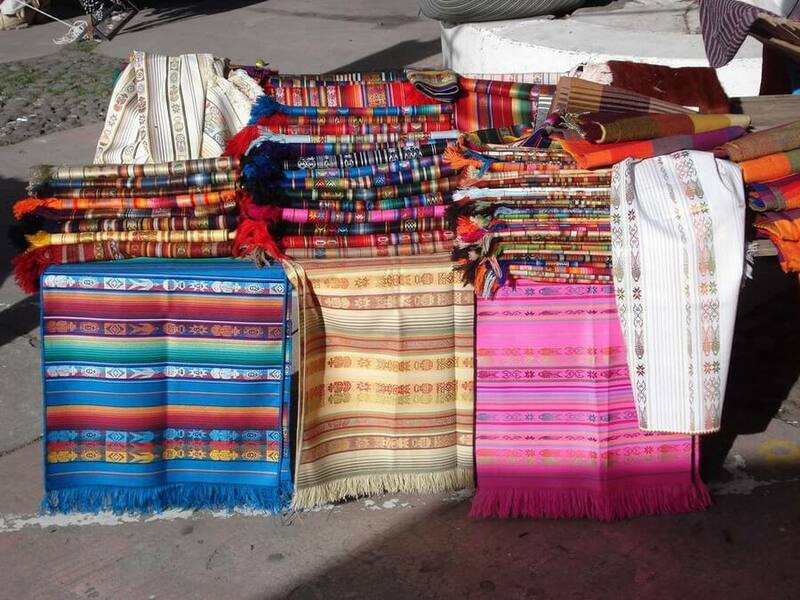 Or you can bring a visit to the famous, colorful poncho market of Otavalo. 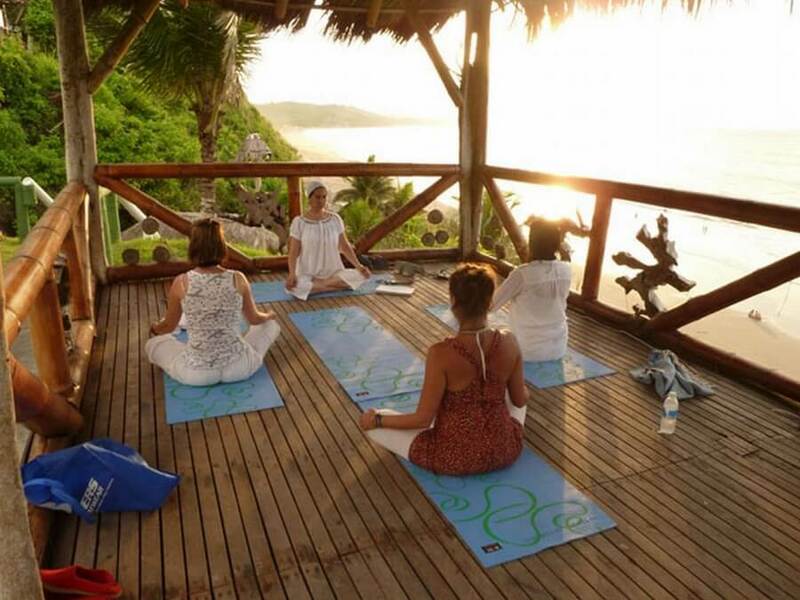 Before dinner you receive your second Yoga lesson and for after dinner we have planned a special relaxation massage. After yoga and breakfast we have scheduled a tour through the picturesque surroundings of Otavalo. 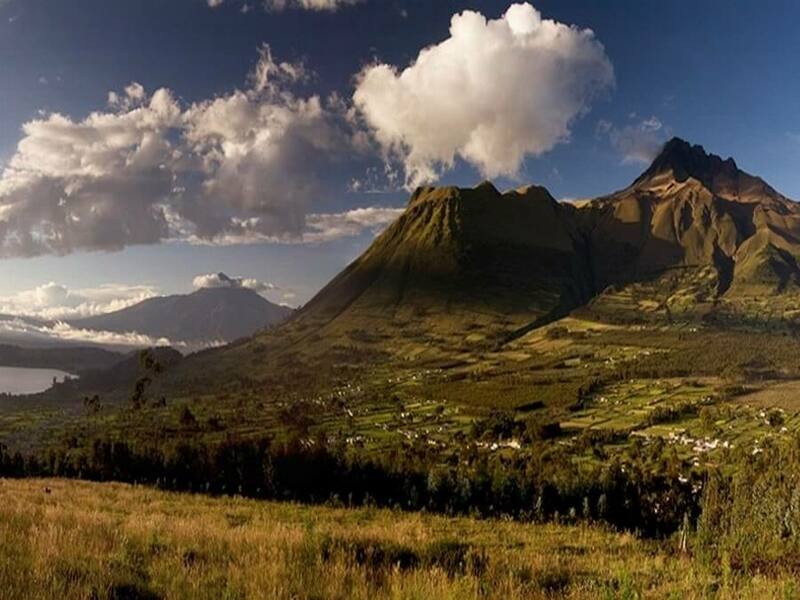 Your first stop is at the high altitude Crater Lake called Cuicocha (which means lake of the guinea pig). Then you will visit a local family which still practices the traditional ancient old weaving technics that Otavalo is famous about. 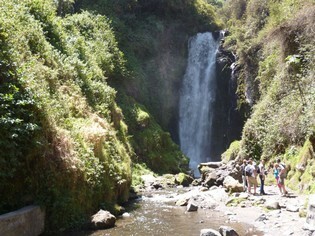 After a short demonstration you continue your tour to the waterfall of Peguche. The waterfall isn’t big, but its location is sacred to the indigenous people who live around. Close to the waterfall there is also a small sacred cave, used by a traditional healer/ shaman, who still performs ancient healings ceremonies. If he is around you will be able to burn a candle for good luck in the café of his ancestors. Then it is time to have lunch in Otavalo before going back to Sacha Ji. 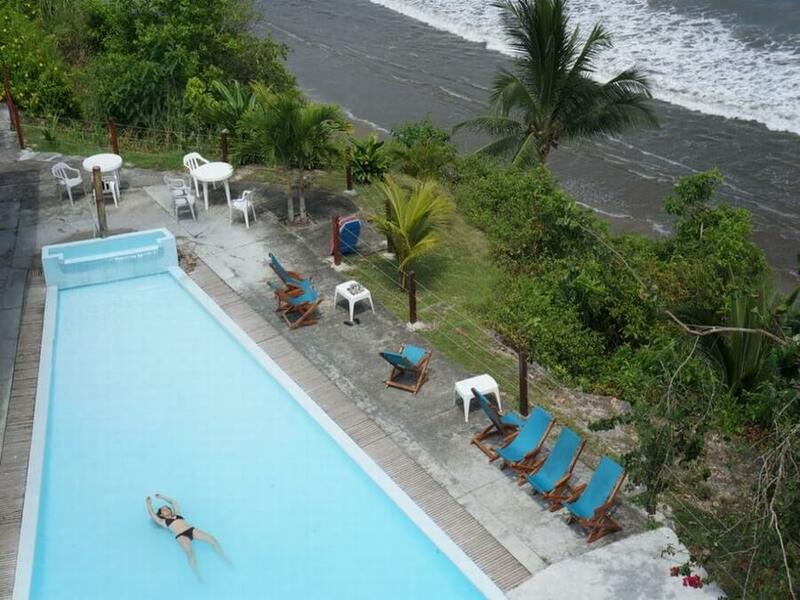 In the afternoon you can relax, enjoy the gardens and/or the view over the San Pedro Lake from the hydro massage swimming pool. 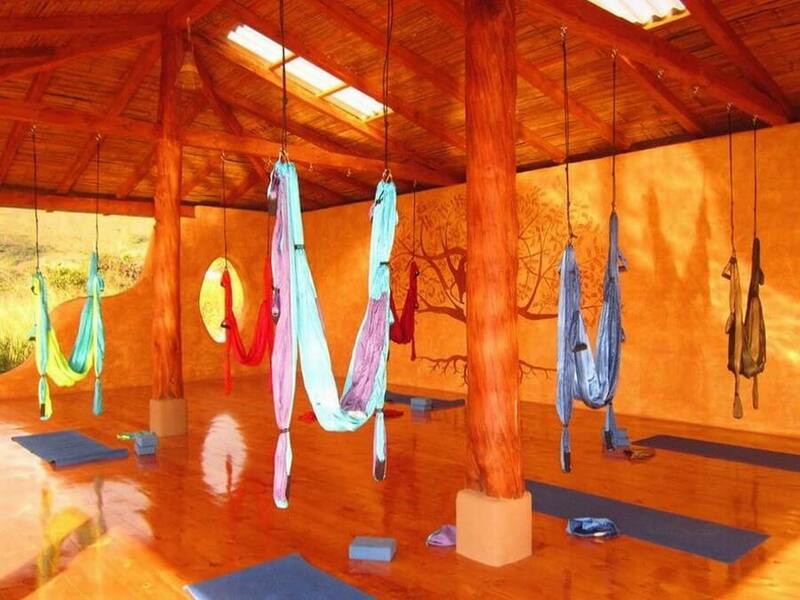 Before dinner you can have a more active Yoga class and after dinner there is time to have a glass of wine and lie down in one of the hammocks. 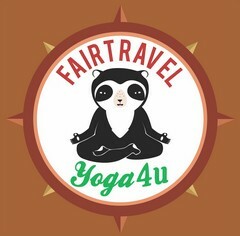 After your last Yoga lesson at high altitude you will travel with private transport in the direction of Mindo. Along the way you will make a stop at the Equator. 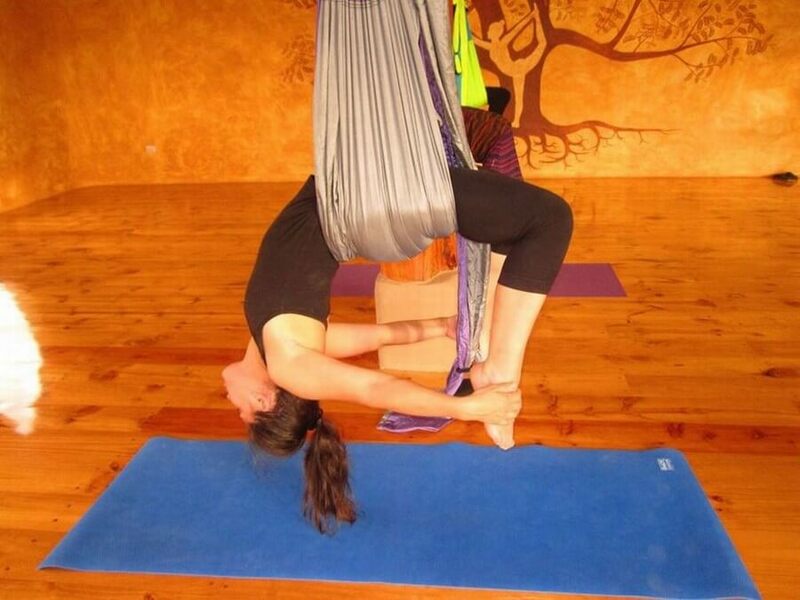 Here you can try for yourself to do a Yoga pose right in the middle between the northern and southern hemisphere! From the Equator it is about 2 hours further to the cloud forest of Mindo. 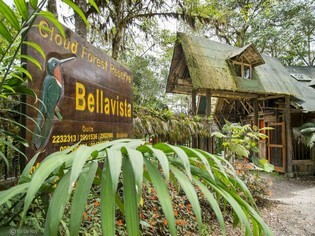 In Mindo you will stay at the beautiful located, ecological lodge called Bella Vista (Which means “Pretty View”). 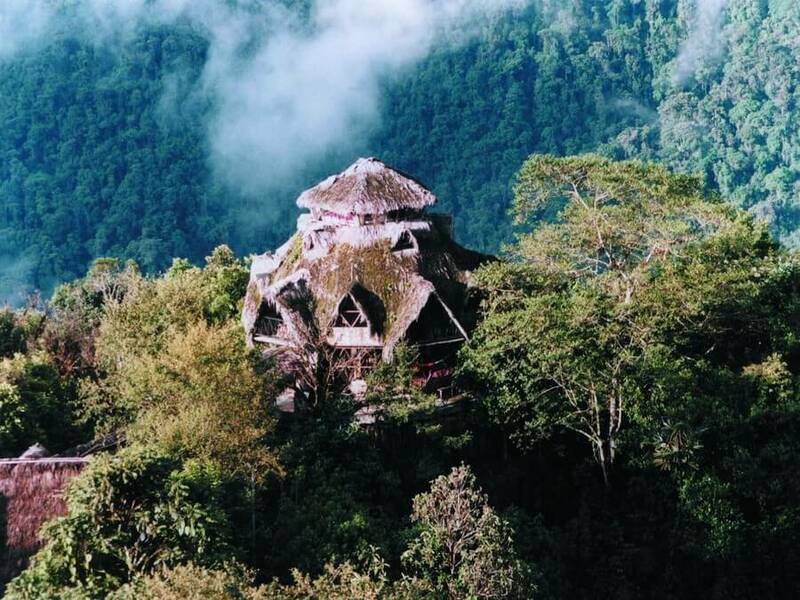 The cloud forest of Mindo is famous for its big population of different hummingbird species. It is likely that you can see some hummingbirds from the balcony of the lodge, but of course it is much nicer to follow one of the self-guided trails through the forest around the lodge. The Bella Vista Lodge doesn’t have a Yoga instructor, but there are beautiful places where you can practice your own yoga poses, surrounded by colorful flowers, hummingbirds and mystical clouds. Dinner will be served in a rustic cozy restaurant, surrounded by nature. In the evening it is great to relax while listening to the many unknown sounds from the forest. After a refreshing night’s sleep, we have included an early morning bird watching tour. It is a special experience to be in the forest when nature around you starts to wake up and the first sunlight spreads it´s serene light through the canopy of branches and leaves above your head. 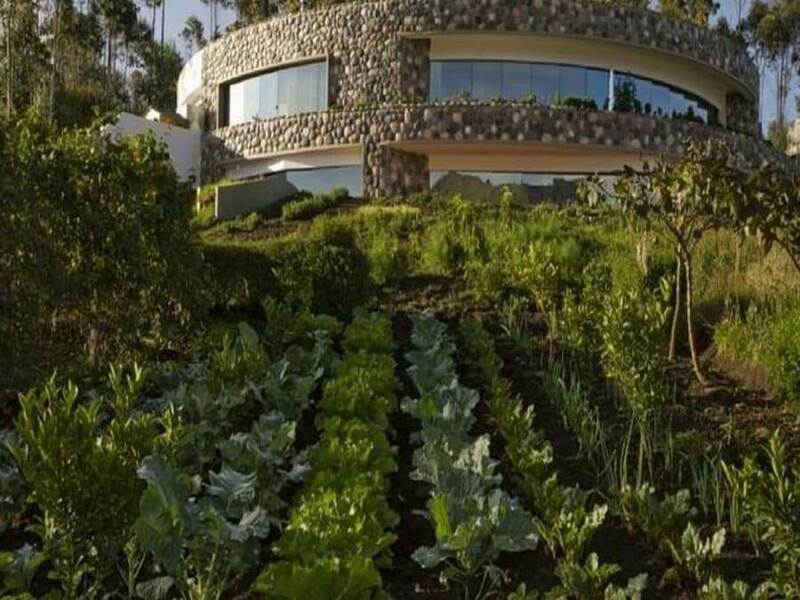 A healthy breakfast is served at 8:00 am and after breakfast you will drive towards Esmeraldas and El Acantilado Lodge. 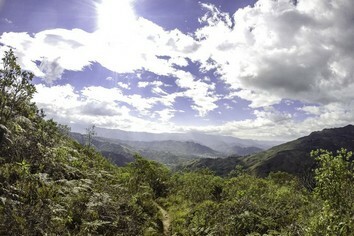 A winding road with great sceneries brings you from the Andean cloud forest towards the Pacific coast. Lunch Box included. It takes about 5 hours until we arrive at the beautiful located El Acantilado Lodge. 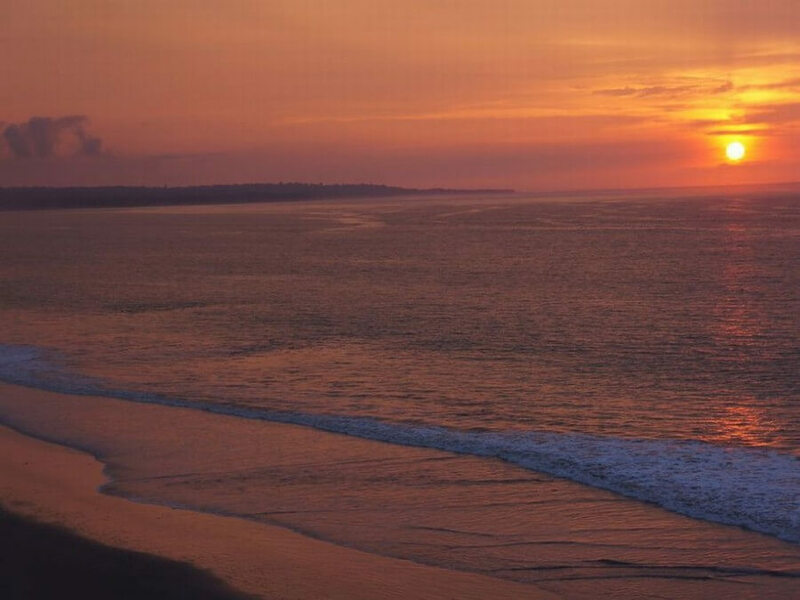 After watching sunset over the endless Pacific Ocean, you will have our first Yoga class, accompanied by the peaceful sound of the Ocean on the background. Today you have an easy day filled only with meditation, Yoga (incl. 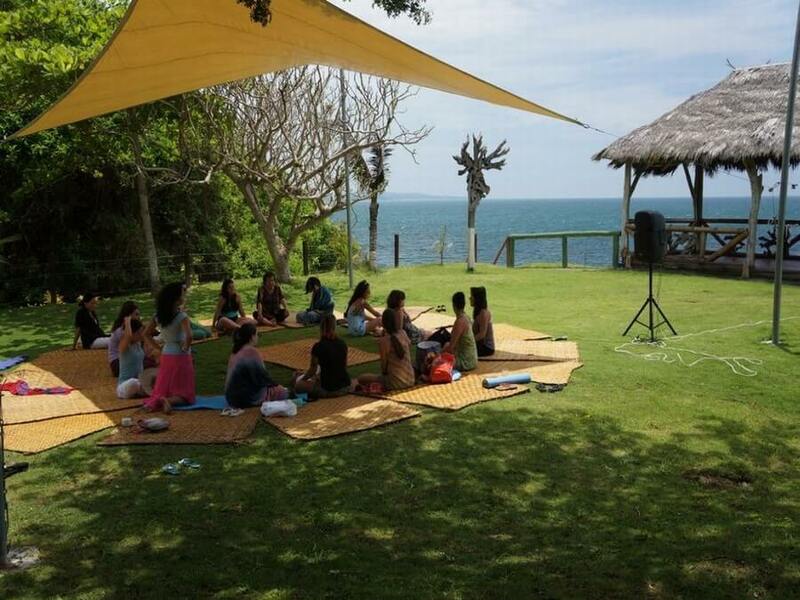 Kundalini Yoga) and free time to enjoy the gardens, swimming pool, the beach and infinity of the Pacific Ocean. For today we have also included a special Thai massage. We leave it up to you if you at what time you would like to receive this massage. Depending on the weather we will also try organize a bonfire night during your stay. 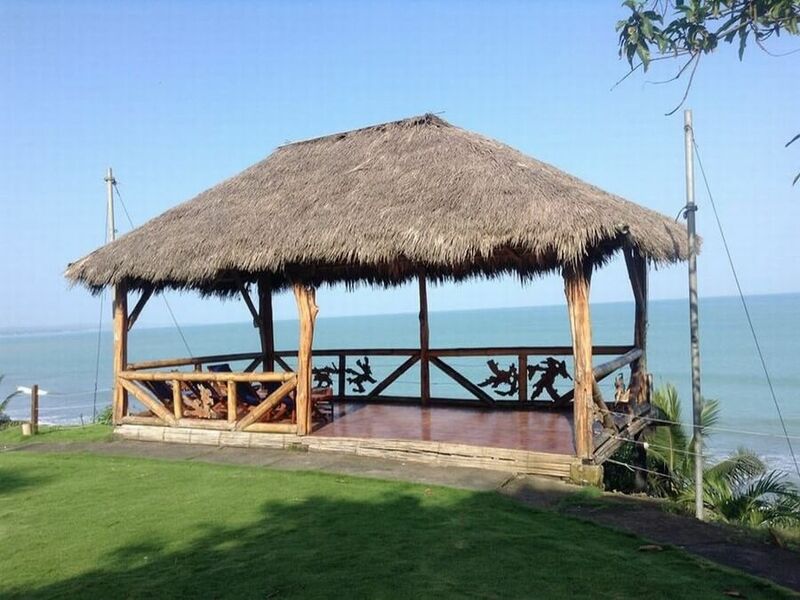 After Yoga and breakfast you will travel from El Acantilado along a secondary road through the country side, towards the beach of Tongorachí. Along the way yo pass through local villages and communities like Estero del Plátano, Quingue, Caimito, Tóngora y and Cabo San Francisco. 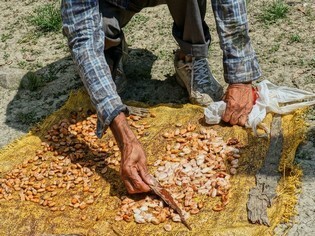 Most residents in this area still live from fishing and small scale agriculture, growing fruits and cacao. 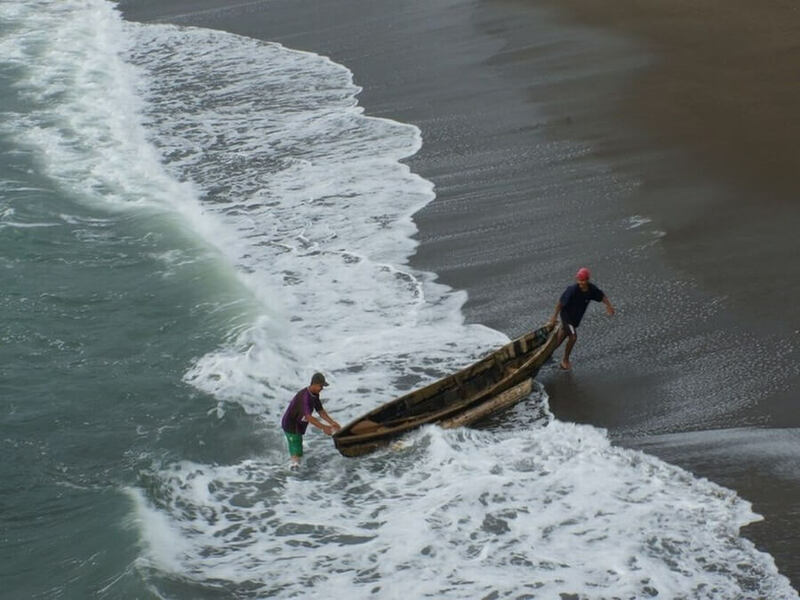 The people from the community of Tongorachí are a mix of three different races, Afro- Ecuadorian and Manabita. During our visit they will explain you more about their way of living, which hasn’t changed much during the past hundreds of years. 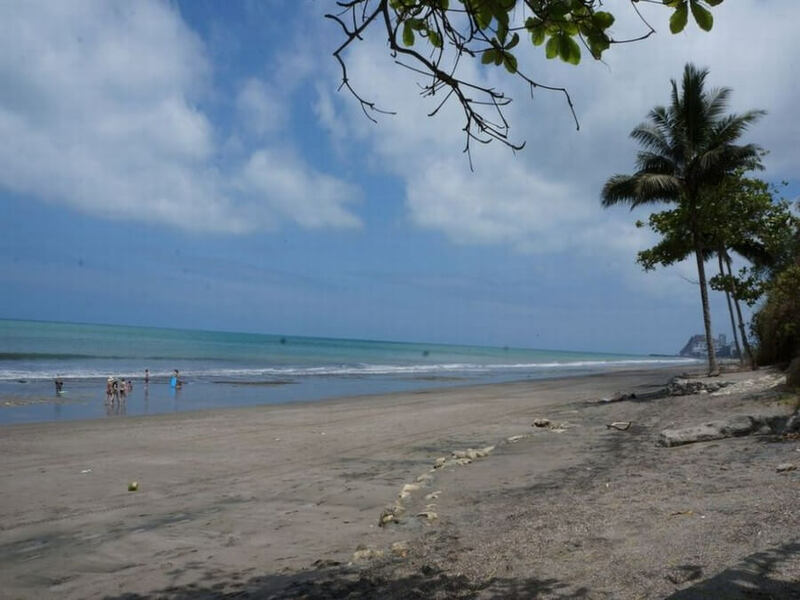 They will also offer you a typical lunch with fresh seafood (vegetarian option possible) and local vegetables and fruits, served on a small beach surrounded with lush vegetation. 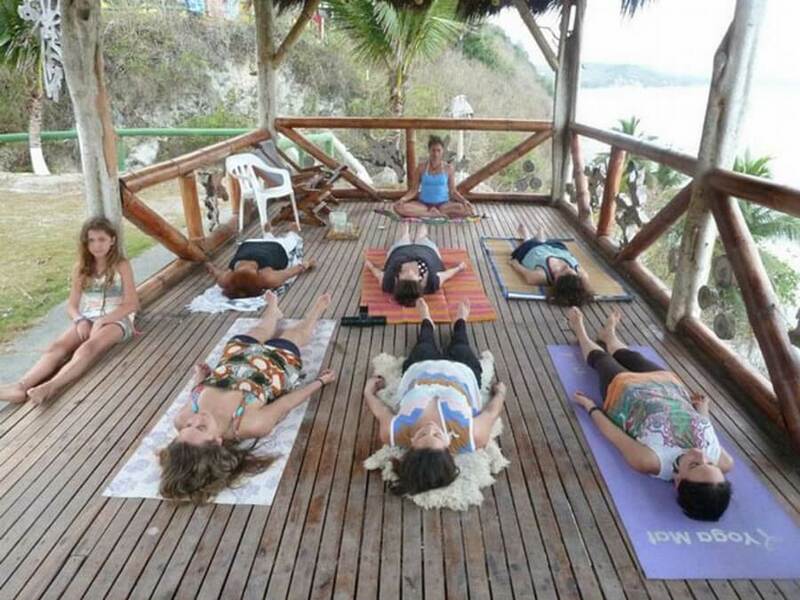 After this interesting visit you head back to El Acantilado for a sunset meditation and yoga session. 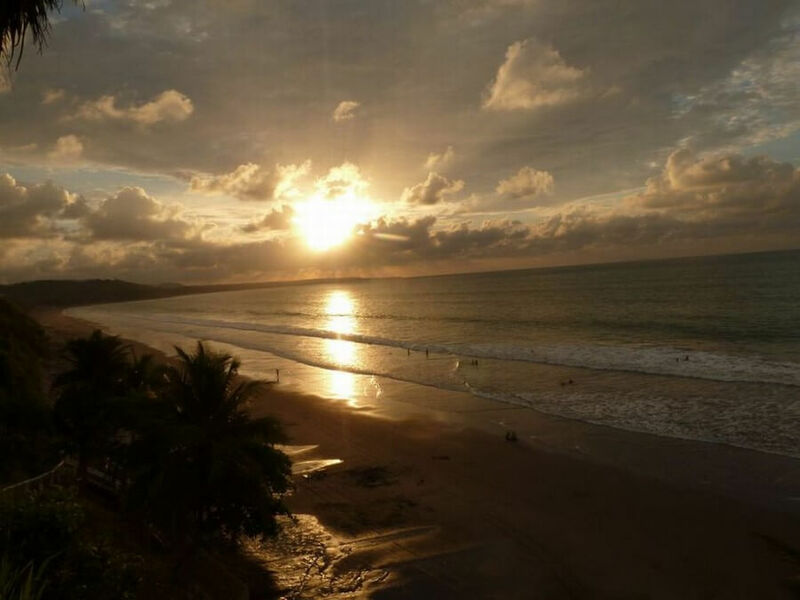 In the evening you have free time to relax and listen to the waves of the Pacific Ocean. A relaxing day to enjoy Meditation, Charla’s, Yoga and a free full body massage. Today is also a good day to enjoy the swimming pool and a relaxing walk on the beach. 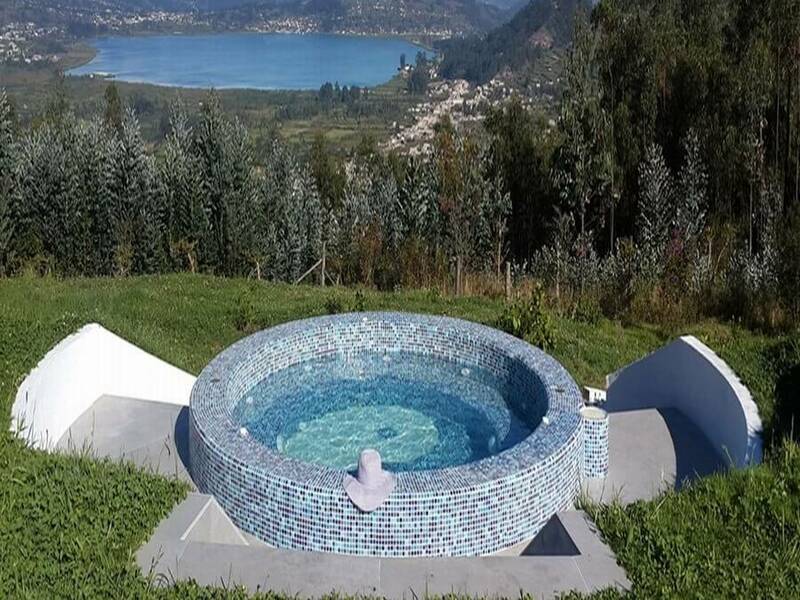 8:30 Am, after your last Yoga class and breakfast at the coast of Ecuador, you will leave by private transport in about 6 hours from El Acantilado back to the airport of Quito. You will receive a healthy lunch packet from us for along the way. 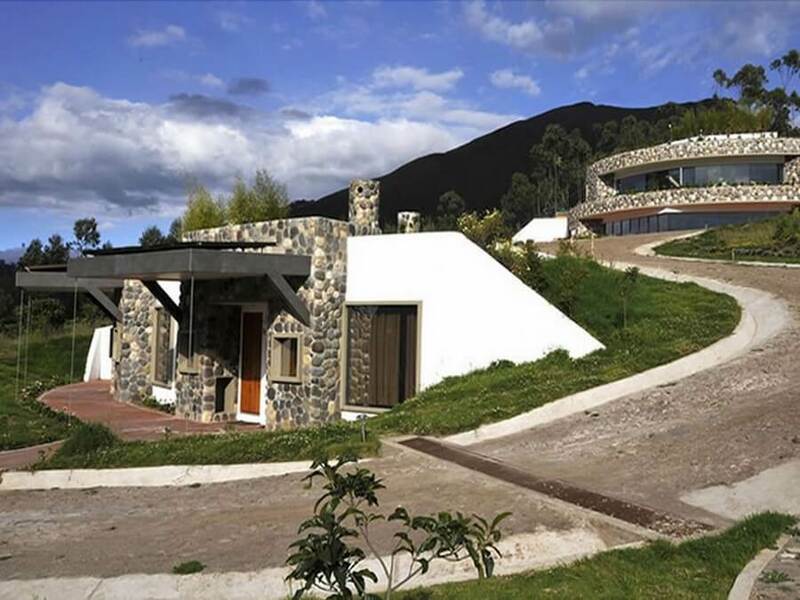 At 15:40 h leaves your flight from Quito to / Loja airport, arriving around 16:40 h.
It takes about 1h30min, through the countryside and over winding roads with great views, to get to Hosteria Izhcayluma. The lodge of Izhcayluma is surrounded by a garden of 10 hectare, full with different plants and flowers. 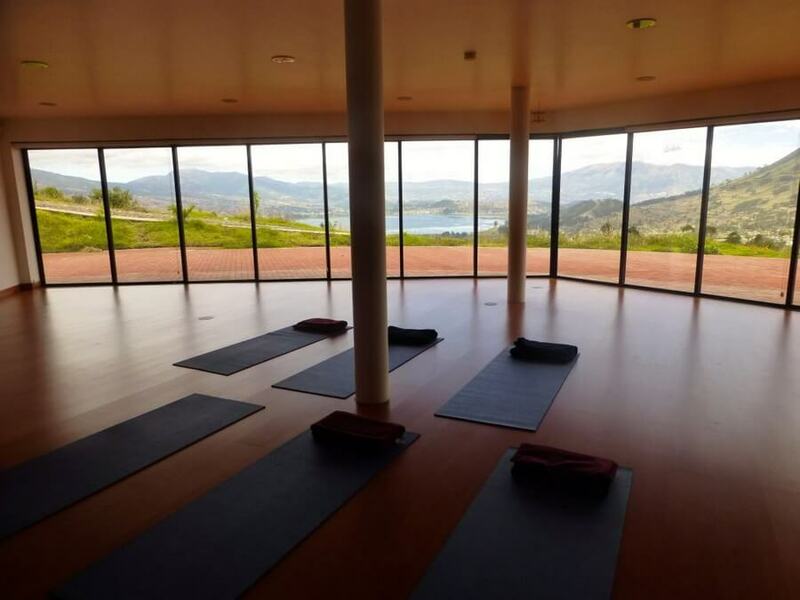 They have a swimming pool, massage room, a bird watch platform and the biggest Yoga studio of Ecuador, with great view at the Sacred Mandango Mountain. 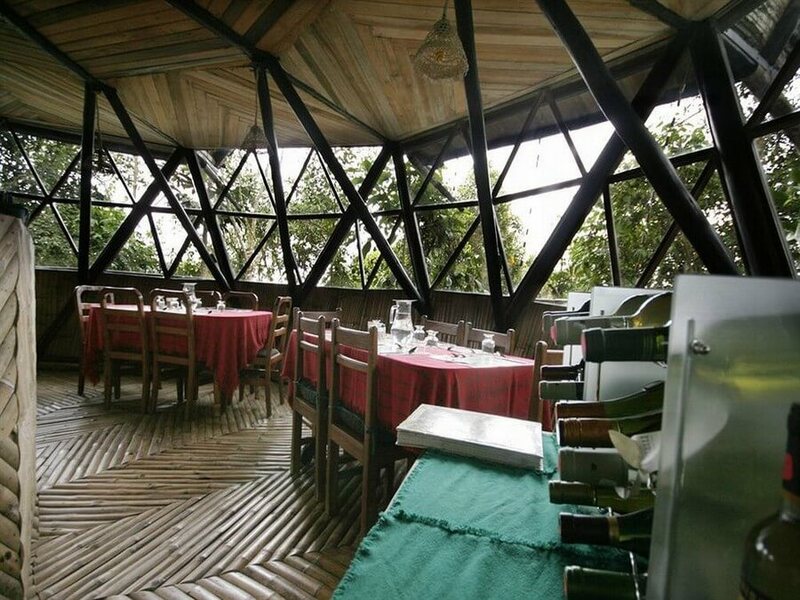 The natural shaped restaurant offers beautiful views over the Vilcabamba Valley, also called Valley of Longevity and the Izhcayluma viewpoint offers the best sunset pictures of the Valley. This morning you start with a short meditation session, surrounded by the spirits of the sacred plants that grow in the Vilcabamba Valley. 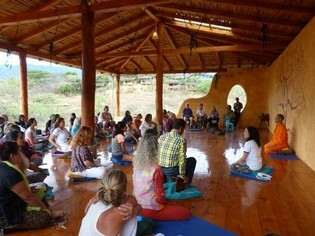 The meditation is followed by a ‘Rise and Shine’ yoga class. 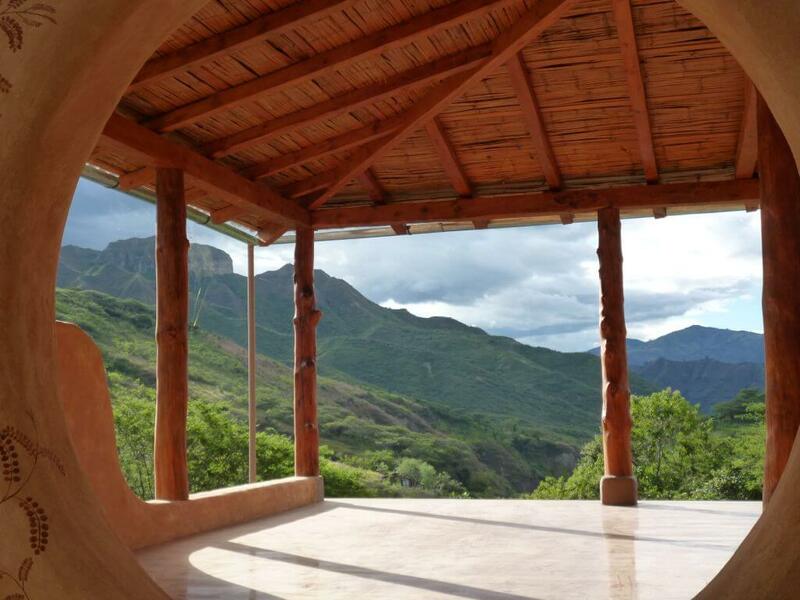 After the Yoga a healthy breakfast is served in the spacy restaurant with a panoramic view over the Vilcabamba valley. The rest of the morning and early afternoon you have time for yourself. 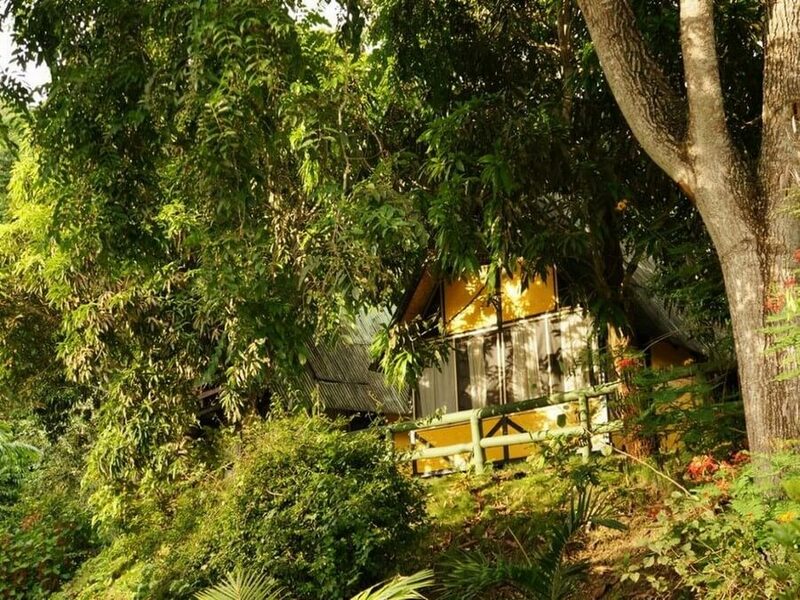 You can decide to relax in the hammock, jump in the swimming pool, explore the surroundings, or walk in about 25 minutes down to the small town of Vilcabamba. For the late afternoon we have scheduled a special class of “Air Yoga”. After Meditation, Yoga and breakfast, you can decide to either walk yourself or get carried around on a horse through the amazing surroundings of the Vilcabamba valley. For the horseback riding it is not important if you have experience or not, just let us know before and we pick you the right horse. All you have to do is: “Let go and enjoy the amazing ride!”. 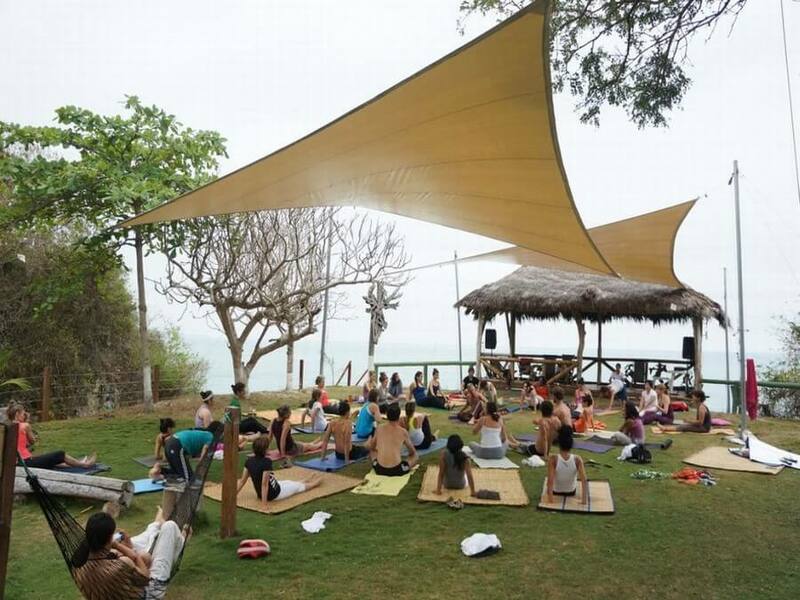 Later that afternoon you can relax at the swimming pool, enjoy a relaxing Yoga class and/or treat your body and mind with a massage and Reiki session. We have included one of these treatments in our tour package. 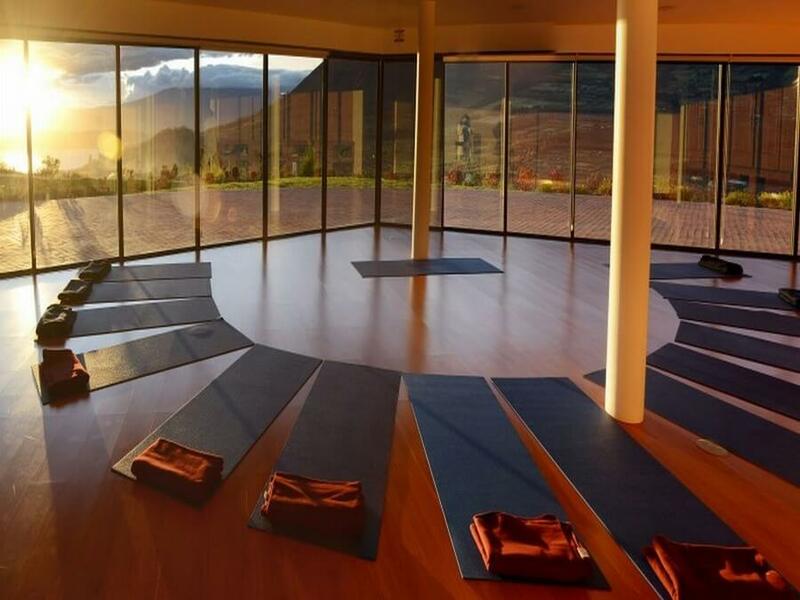 This morning you also start with an early meditation/ yoga class, right when the first sunlight comes over the green hills and the birds start their morning concert. Late morning and early afternoon you have time for yourself again to make a short hike, relax and/ or read a book in one of the many hammocks. 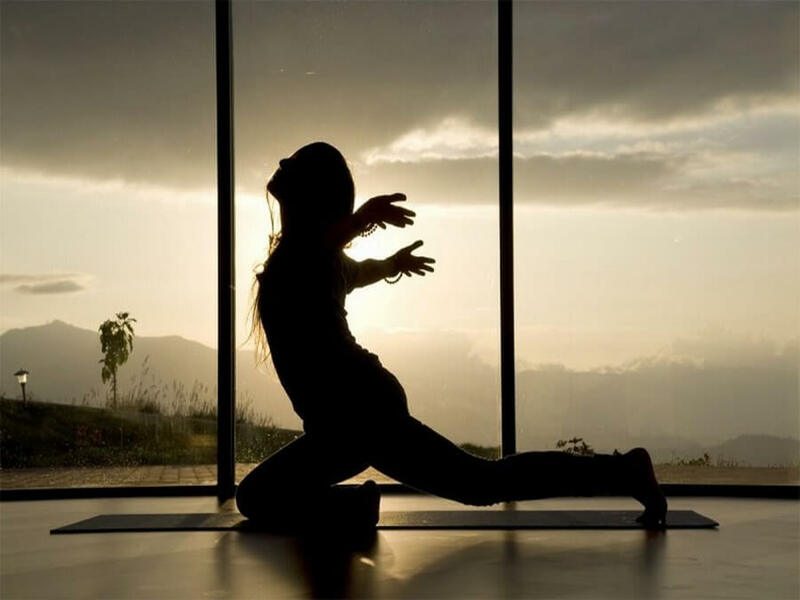 Before sunset we have scheduled a special Kundalini Yoga class to see if you can surprise yourself about the flexibility of your own body and mind. Tonight could be a good time to have a drink in the cozy bar of Izhcayluma and meet travelers from all over the world, each with their own interesting (life) stories. After a good night of sleep we want to keep today’s itinerary as flexible as possible with two yoga classes of choice (Air Yoga if possible). Another horseback riding tour, another hike, another full body massage, or maybe even a session in a sweat lodge build of natural materials (depending on availability). 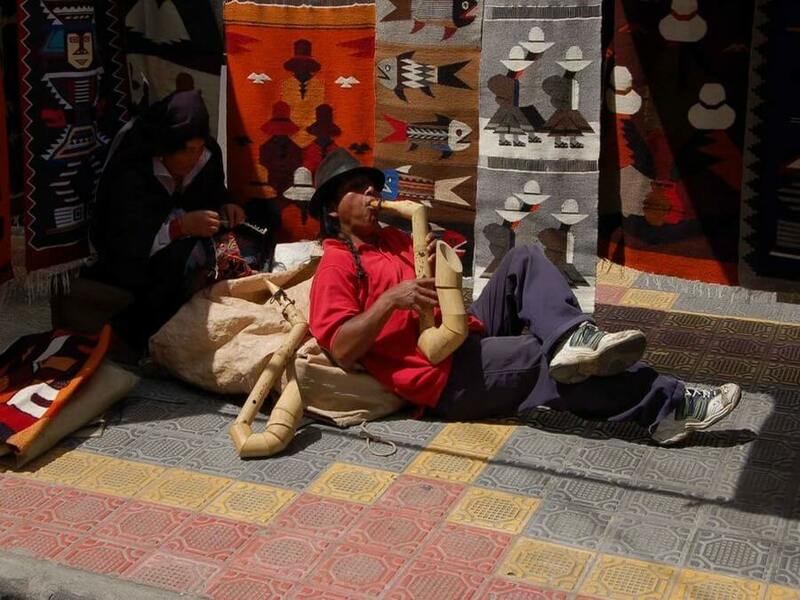 You can also go to the town of Vilcabamba and check out their special handicrafts. Many of these contain special stones/ crystals and are made by an international crowd of Ecuadorians, Peruvians, Colombians, Argentines, etc. who made Vilcabamba to their (temporarily) home. Today we have to get up very early to catch the morning flight back to Quito (or Guayaquil). It is time to say goodbye to the beautiful Ecuadorian country sights, but we are sure that you will never forget your stay and always carry some of its natural spirits with you. 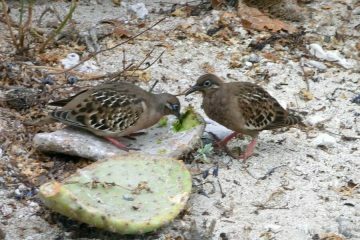 For those who are interested it is also possible to extend this tour with a tour to the Galapagos Islands, departing from Guayaquil. 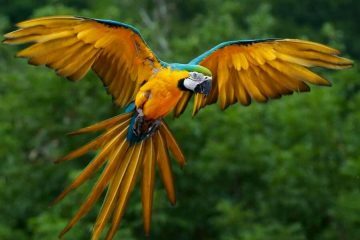 Important note: Success of this tour depends greatly on the carefully selected special lodges, if one of them doesn’t have availability, we can’t offer this tour. Please make your reservations on time. Note 2: the itinerary of the tour above is to give an impression of the possibilities, but due to local, unpredictable (weather) conditions it might be necessary to make (small) changes. We recommend bringing your own Yoga mat with you on this tour.